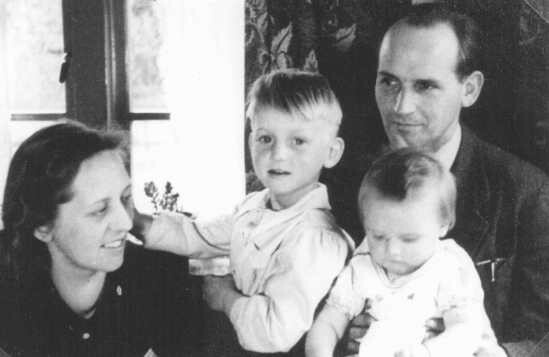 Bert and Anne Bochove, who hid 37 Jews in their pharmacy in Huizen, an Amsterdam suburb, pose here with their children. The two were named Righteous Among the Nations. The Netherlands, 1944 or 1945.